One of the things that I think Persona series has excelled at is the way the studio writes its story and its story setting. Not only is it in a modern world, but the characters are for the most part well written and interesting. Something that most Japanese RPGs lack and something that Atlus has excelled at for many years. Persona 5 takes the formula the team as built since Persona 3 and has ironed out most of the kinks. Persona 5 starts with our character getting arrested and thrown into an interrogation room, having the protagonist (you) tell the investigator how you got into this situation. A very Unusual Suspects take on the story telling from the Persona 5 team, do you reckon their Kevin Spacey fans? After this point, the story goes back to the start of the story. Like other Persona games, you get sent off to live with a stranger, in this game your character stopped a woman from being abducted by a political figure which gets you expelled from school and has you living with a disgruntled but lovable coffee shop owner. You get to attend a new school, the Shujin Academy in Tokyo, the only school that would take a delinquent as yourself. Persona 5 takes the opposite turn from Persona 4 in terms of tone, in this one it seems you and your group of friends are the black sheep and highly disliked even though you guys try to do the right thing. The world turns its back on those that do bad things because on the surface they are talented and great. Persona 5 also seems to play around with the theme of authority figures abusing their powers, thus it being school teachers or political figures. Personally liked the way the teamed handled the theme and they did a great job with the story. . Its a great take on the Persona formula. While I would love to talk about more specific characters in detail, that would cause spoilers and this is something you want to experience for yourself. Trust me. While the overall main story is great, the characters is what really drives the experience for me. Persona 5 does have cliche characters that will remind you of some characters from past games, but the more you get to know them the more they start separating themselves from cliches you thought they had. That’s the great thing about Persona 5, the way they handle their characters, story and writing. I would say this is the game’s strongest point. A minor nitpick is that, even though you are a leader in the game, your choices in dialogue don’t really mean much. You won’t choose where the story goes and your responses usually all end up going the same path. While the game has magic, demons and other out of this world elements, its also a coming of age story. You take control of a 16-year-old student who is thought of badly because you tried to do the right thing. Save a woman from being abducted and when you get to Shujin Academy, the rumors start flying about what you did the moment you get into the school. But you also start noticing that all the teachers aren’t exactly the best people. In the game you can travel into their hearts and enter their ‘palace’ which is made up of their dark desires. You and your friends can steal their ‘treasure’, a possession they value most in life to make them confess to what they did wrong. While I don’t want to spoil any story here in the review, the story is laid out well enough that it connects the day life system with its magical dungeoning so well that it would be hard to put the game down. Persona 5 is technically a PlayStation 3 game that was ported over to the PlayStation 4 so it isn’t expected to have state of the art graphics and it doesn’t. This game isn’t pushing the PlayStation 4 to its limit or the PlayStation 3 for that matter. That doesn’t mean that the game isn’t a beauty to behold. 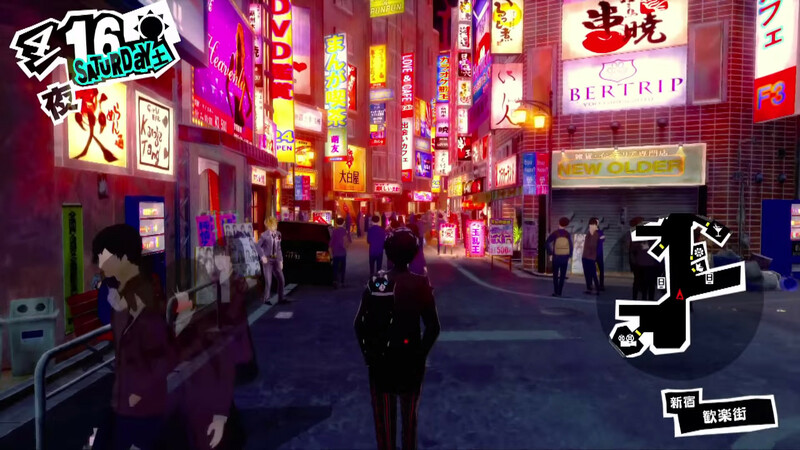 There are plenty of RPGs out there that have higher budget and graphically superior, like last year’s Final Fantasy XV, but Persona 5 has a beautiful artistic approach to its graphics that I actually prefer what Atlus is doing. The game has a anime like look with sharp bold black and red themed menus that all pop. The whole color scheme and look of the game are fantastic. Even the menus have a nice graphical layout. The Persona 5 team really went out of their way to make everything really pop out. While the game was developed from the ground up for the PlayStation 3, the PlayStation 4 version sports a native 1080p picture that makes the graphics sharp and the game runs at a solid 30 FPS without a hint of slowdown. I would say this alone makes the PlayStation 4 version the definitive one to play. Part of the game takes place in a modern Tokyo allowing the player to catch trains, go visit districts and spend time doing other activities. But just like past Persona titles, everything you do costs you time. The game has morning, lunchtime, afternoon, after school and evening time periods where you are allowed to do things. I think this system is what makes the game so addictive, giving the player something to do all the time. For example, if you want to create lockpicks to open treasure chests when you go into dungeons, it will take your free time. You can do a lot of things with your free time like develop social links, study, read, work a part time job and many more. Most of these things contribute to your social stats. Your social stats include knowledge, guts, proficiency, kindness, and charm. For example if you find yourself in a situation where something bad happens and you want to call out the bad guy, if your guts social stats aren’t high enough you aren’t able to do it. While the game doesn’t have minigames like Yakuza for its day life activities, getting the stats for doing it is enough since it opens up more game options for the player and thus giving you more things to do. You will also be able to hang out with your friends, build romantic relationships and more, which all contribute to more powers and unlockables. Most of the games time is taken up by school, since you are in high school. You will randomly be asked questions, on certain days, in front of the class and when it comes to exam time they will give you a test with all the previous questions. Most people cheat on this part of the game, mostly because the questions are more aimed at Japanese players. The little touches like this really make Persona 5 feel intuitive and memorable. The game isn’t open world, actually more of areas and after you visit those areas you can quick travel to them. Quick traveling with a hit of a button saves you dozens of hours in this game and that’s great considering the title will take you 60+ hours to complete. 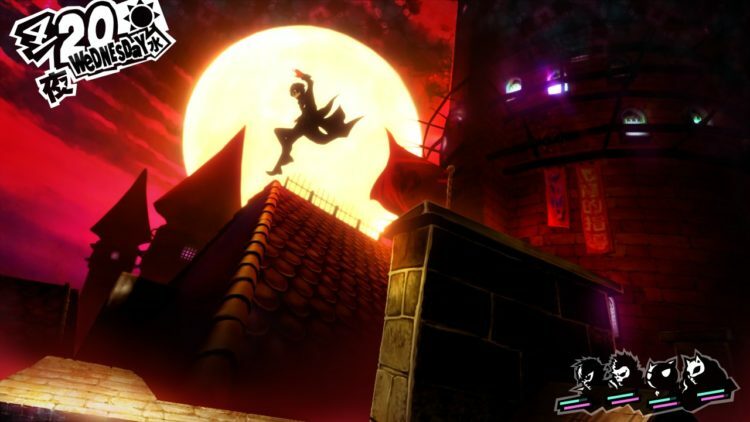 When and the phantom thieves (you can call your group whatever you want, that’s just the default) have found a target with ‘dark desires’ that is screwing over people, you can enter their palace. A place is a figment created by the user to hide their treasure, if you steal said treasure they confess to their crimes. The palace is where the typical dungeon crawler elements with turn based combat come into play. 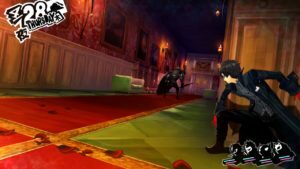 Atlus did add the ability to hide behind objects and do some ‘platforming’. Basically you can go on exclamation marks and press X to do the action. Think of it like the jumping from platform to platform in The Legend of Zelda: Ocarina of Time. This lets you jump from cover to cover and get the jump on the enemies. 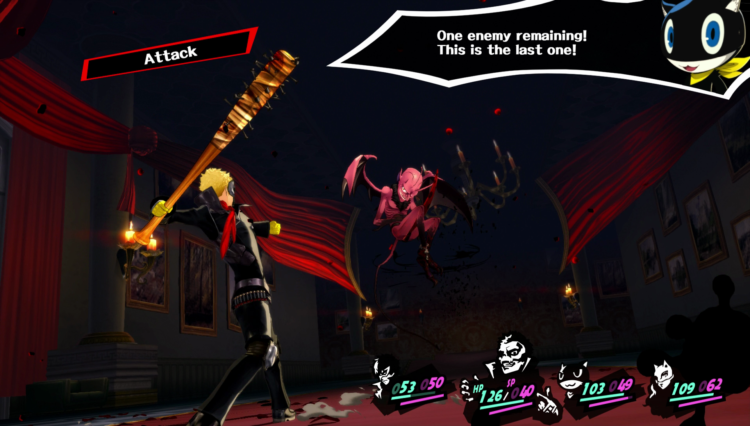 Like past Persona games, if you attack first you get to attack first. While the game has turn based combat, its actually a really fun and thought out system. 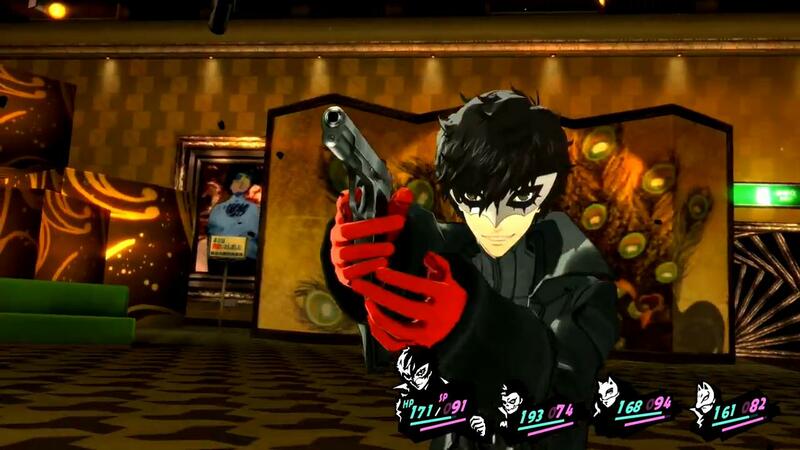 If you never played a Persona game you have your normal attack, to do magical attacks you use your Persona (which is like a spirit, each main sidekick character has one), guns and other options depending on how you do. The main object is to find the weaknesses of the enemies. This is done in a very Pokemon style of water, electricity, physical and so on. When you hit their weaknesses they fall down, which makes them skip a turn and if you knock down the whole enemy party you get several options: all out attack which kills them, ask them for money to be spared, ask them for an item to be spared, or talk them into joining you as a usable Persona. The main character in the game has the ability to use enemies you encounter as Personas, taking their strengths and weaknesses. You can have a fixed number of Personas, which increases as you play through the game. The game did a great job giving the players shortcuts to speed battles along, for example if there is an enemy you fought and figured out their weakness before, you can just press R1 and it will switch to the Persona that has the right ability instead of forcing you to flip through menus. 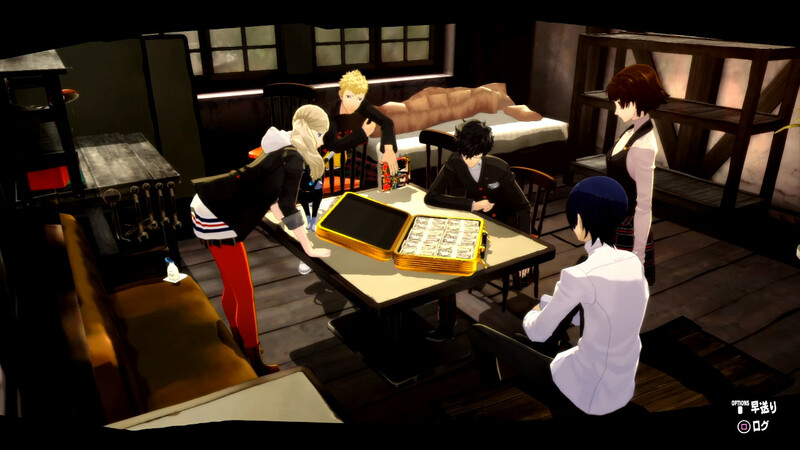 The game also has a ‘velvet room’ which is long running in this franchise, here you will be able to fuse Personas you capture and register them (letting you buy them, even in New Game + mode). The only restriction when it comes to fusing Personas is that they can’t be higher level than your main character. You will want to have various Personas with different strengths and weaknesses in your arsenal if you want to survive. For example the first palace you encounter in the game has a lot of strong physical attacks, so having a Persona that is resistant to physical is a must. 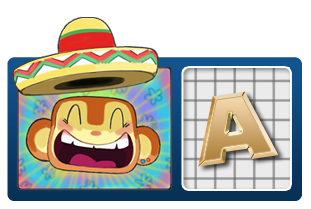 The palaces you play can be beaten in one sitting, if you have the skill to preserve your SP (magic) or be taken by chunks. Every so often the game will have safe rooms where you can save your progress, quick travel and be safe from enemies. If you die during a boss battle, the game shows you mercy by letting you restart the battle, but if you get into a random battle and die, you’ll have to start the game over from the last safe room. This can be a bit harsh, considering you’ll run into enemies that have the ability to one shot kill you if you don’t have the right Personas or you underestimate them. Always be prepared. Not to mention that if you go back, enemies revive, so don’t over extend yourself. I found the game to be really well thought out and enjoyed the battling system more than I thought I would. One of the biggest joys in the game is its soundtrack, which I feel like it has delivered in aces. I hear people online complaining that they like a Persona 5’s soundtrack as much as past titles, to me they are like my kids and I can’t choose which one I like the most. Persona 5 composer Shoji Meguro really shines with his Acid Jazz influences and plenty of catchy tunes. While some of the vocal tracks are way out there, it reminds me of something that would randomly be put into a obscure Japanese game from the mid-90s or early 2000s, which is cool. While an Japanese RPG this long will have plenty of repeated songs, the soundtrack has over 110 tracks and you get a large variety here. Much more than other JRPGs. If you don’t play the game, I suggest you give the soundtrack a listen, I think you will be pleasantly surprised. The voice actors are mostly a hit, with some voices sounding a bit off. Though it does suffer from the whole ‘repeat the same phrase’, which basically means I heard ‘Woah, looking cool Joker!’ way too many times. 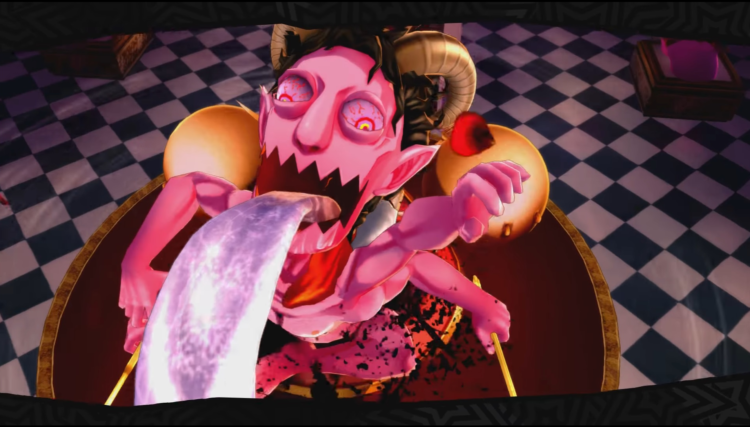 Persona 5 is a fantastic experience and there isn’t any other Japanese RPG quite like it. From its well written characters, well paced storytelling, fantastic soundtrack and great artistic graphics this game is an absolute winner. I think what makes the game so addictive is how the developers gave the user something to do with their time and spread the game out in little sessions with their day time system. 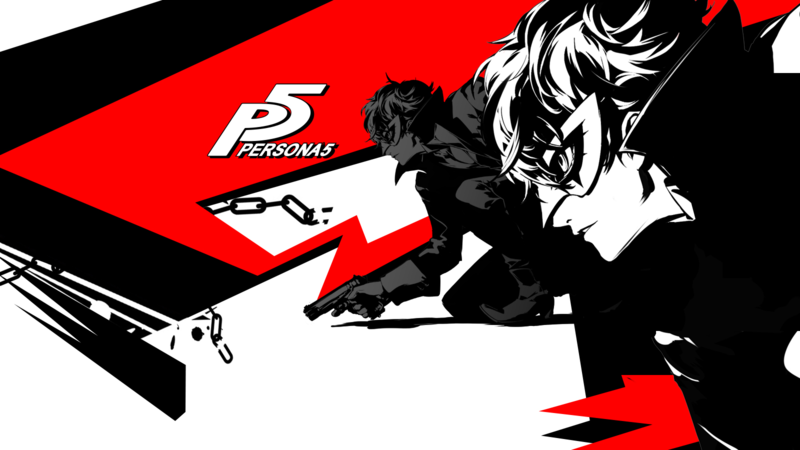 Persona 5 is highly addictive and you’ll watch the hours stack. The game also offers enough reason for a second playthrough, seeing as they hide some scenarios via social stats. While I dislike some of the policies Atlus has regarding its DLC or streaming practices, as a stand alone game package, Persona 5 is worth every penny. The game has great mechanics that work well together to give a user a highly enjoyable experience. While the game does have issues that you expect from a lot of Japanese RPG, such as the characters saying the same lame phrases over and over, it’s forgivable considering how much the overall package is. I will have to say that this is the most enjoyable Japanese RPG I have played this generation and has set the bar high in terms of how you write likable characters. Let’s hope other developers take note.